This article aims to approach the historical foundation of how conflict resolution systems were organized in relation to the Justice Procedural Systems. The paper presents the Pound Conference of 1976 and its predecessor of 1906 and the importance of the contributions of Professor Sander in the 21st century for the integration of adequate conflict resolution systems into an overarching concept of the Justice Systems in the 21st century. This paper addresses also the quality of the justice systems, indicating that in the different quantitative and qualitative mediation models, adequate or alternative conflict resolution methods, such as mediation, are relevant; lastly, the paper shows the trend towards the expansion of the adequate and of higher quality multi-door methods used for conflict resolution in the most advanced countries. This paper deals with mediation as an alternative, voluntary and non-judicial form of conflict resolution. Specifically, it focuses on neighborhood or community mediation, due to the social, cultural and improvement of the coexistence implications it contributes with. 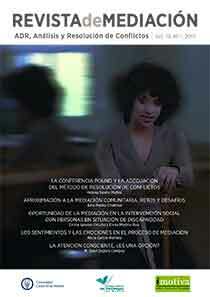 This type of mediating process is defined and characterized, including some considerations about the mediator figure and a few real experiences (in Spanish cities and in countries like Argentina) in order to see how it works in an applied way. In conclusion, a summary of its advantages in strengthening the communities is presented, as well as a reflection on the future perspectives of this process. To make society aware of community mediation as an instrument for improving coexistence, to reflect on the specific training of mediators, to empower citizens through tools that take root in the culture of agreement, and to define protocols for action to face neighborhood conflicts are some of the challenges. People with disabilities represent a population group that, because of the circumstances that render its interaction in society complicated, generates situations of conflict that make them a vulnerable group. The political and legal machinery of the Welfare State should adopt protective, intervention and inclusion strategies aimed at improving the quality of life and the presence of this group in the social fabric based on recognition, participation and inclusion. 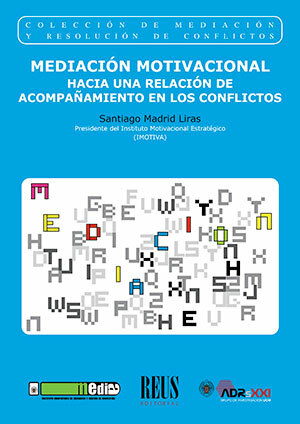 Mediation is presented as an element that enhances this set of initiatives or political and social responses for addressing the conflicts that might arise from situations of vulnerability of the persons with disabilities, providing a positive, reparative, inclusive and empowering view that ensures personal autonomy and also the respect for human rights. When managing conflicts, moods, feelings, and emotions, even the slightest ones, can influence the development of conflicts and condition human behaviour. The challenge for Mediators is to redress the affective states of the parties and to create a calm space that allows communication, improvement of relations between the parties, and the adoption of consensual agreements, or even both. The purpose of the present paper is to reflect on the main tools mediators rely on to identify and restructure negative emotions, both on an intrapersonal and interpersonal level. Reformulations, recontextualizations or, if necessary, a caucus, will reduce tensions and aid to cope with anger, a frequent emotion that can generate interferences in the mediation process. 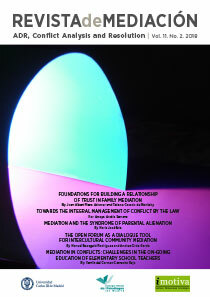 Although mediation favours the catharsis of affects, it is not therapy, so both interventions must be differentiated. The development and practice of mindfulness is undoubtedly relevant for mediation practitioners mainly for two reasons. Firstly, because it presents a mediation technique that provides various benefits to mediation such as impartiality, lack of judgement and presence. Secondly, because it provides them with a simple but very powerful tool to manage their own emotions and the emotions of the people in mediation throughout the process, given that they are often a key element to maintain conflicts. However, is it simply desired for those who conduct mediation? Can we conduct a mediation process without having achieved a certain degree of empathy, enlightment and inner silence before? When considering the caracteristics and difficulties of mediation processes we realize that they can perhaps only be fully addressed if mindfulness is practiced.